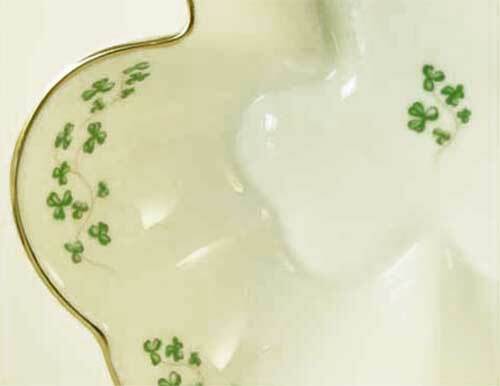 This Irish dish features fine bone china that is accented with green shamrocks along with an embossed shamrock in the center and gold trim on the rim. 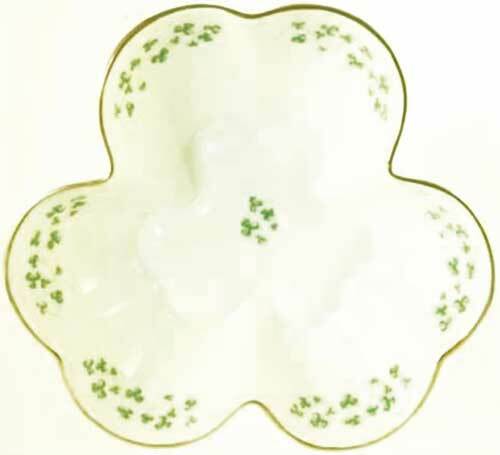 The shamrock dish measures 6" wide x 6" long x 1 1/2" deep and it is made in Ireland by Royal Tara China. The fine china shamrock shaped dish is gift boxed with a shamrock history card that is complements of The Irish Gift House.